Chattanooga has reinvented its reputation from being one of the dirtiest cities in the America to being an innovator in urban sustainability. In recent years, energy efficiency and sustainability in residential properties have been major priorities in housing policy. In recent news, USA Today reports that homes with green upgrades sell for 10% more than those without. Also, homes that are marketed as "energy efficient" tend to sell faster. As of June 2013 in Tennessee's Hamilton County, the average length of time a house spends on the market is 144 days. Aside from the usual headaches of home selling, investing money into renovations of a home destined for resale is risky. However, the cost versus value of green renovations is above common upgrades, such as kitchens or bathrooms. So how can you make your home stand out in today's market? Going the green route is one option, and is surprisingly variable in the range of options available to home owners. This three part series will cover paths homeowners can take to go green in today's housing market. What is the Difference between Sustainable & Energy Efficient? The terms green, energy efficient, and sustainable are often uses interchangeably. In case you have never heard of Al Gore, the overhanging cloud of climate change is an issue that receives plenty of attention from policy makers, businesses, and even homeowners. 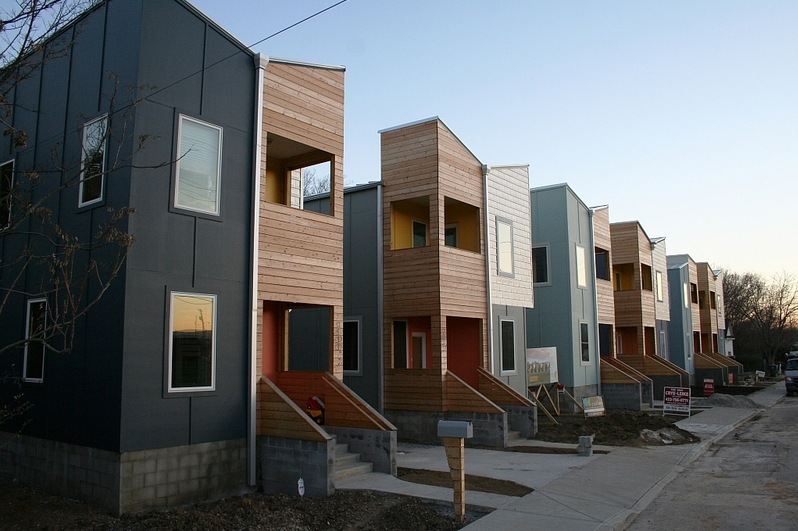 To make a long and controversial story short, sustainable housing focuses on reducing harmful impacts on the environment. Energy efficient homes operate based off of reducing the overall energy consumption of your home. Making your home energy efficient reduces your carbon footprint, while sustainable homes aspire to make a net zero impact on the environment. Sustainable homes are constructed or remodeled with renewable resources, such as recycled demolished building materials, low VOC products, bamboo flooring, or EcoRock drywall. They are often powered by wind, geothermal, or solar energy. Also, green home companies advocated installing Energy Star appliances. Coupled with the ongoing efforts of sustainability, there are a variety of products available for construction and remodeling. If you need an example, the EPA provides a more thorough list here. If you really want Mother Earth to award you a gold star and seriously vamp up your home's resale value, you can have your home certified by a third party. The U.S. Green Building Council allows you to officially certify a new construction home or major renovation project as "green." This is most commonly referred to as a LEED certification. Chattanooga has LEEDs certified homes, too! Located near Jefferson Park, Madsion Street is home to several of the earliest LEEDs certified housing in the city.